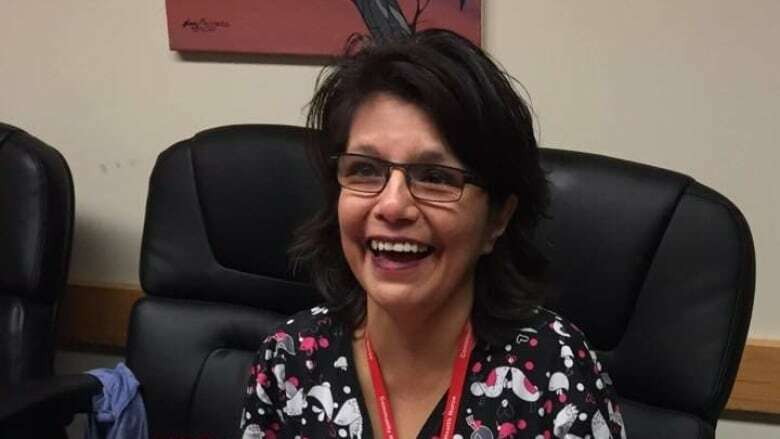 Winnipeg's 19th homicide victim of the year is being remembered as an important role model who inspired many First Nations people to pursue a career in nursing. Winnipeg's 19th homicide victim of the year is being remembered a nursing pioneer in northern Manitoba. Annie Little died on Nov. 23, after she was severely beaten in a Winnipeg hotel room two days earlier. Her common-law partner, Calvin Harper, is charged with manslaughter. "She was a beautiful person, inside and out. She was just this amazing gift to all of our people," said Judy Klassen, the MLA for Kewatinook. Klassen said she always knew of Little growing up, because she was one of the first registered nurses to come from the Island Lake region. The 53-year-old was born and raised in Red Sucker Lake, 535 kilometres northeast of Winnipeg, and worked as a nurse for nearly 30 years throughout the north. 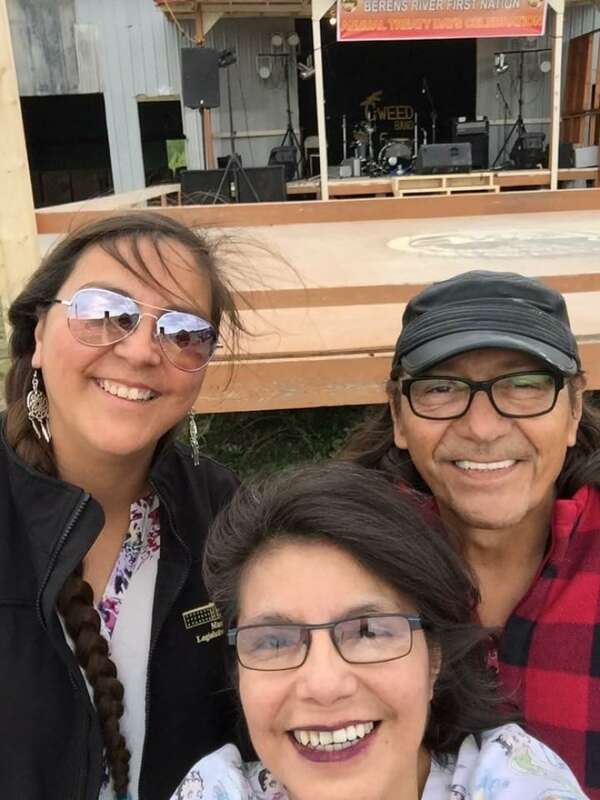 Little inspired many First Nations people to pursue a career in nursing by "spreading her teachings, because she recognized that there needs to be something Indigenous in the health-care system — bringing the traditional, merging it," Klassen said. "She knew there needed to be a better bedside manner, so that's what she brought to our people." Little was the last person to care for Klassen's mother when she died in 2004 in her northern Manitoba community of St. Theresa Point. Klassen said her mother went to Little before she got seriously sick and made her wishes known. "Our family didn't have to make any hard decisions.… They talked about it," she said. "They had made all those hard decisions," said Klassen. That meant her family "could just spend as much time with our mom in her final moments, [rather] than discussing all those hard topics." Little leaves behind a daughter. Her son, Lance Harper, died in 2016 while in custody at the Winnipeg Remand Centre. He was one of five people who died in the jail that year. Klassen said Little was trying to get to the bottom of why her son died, but she wasn't able to find those answers before her death. "The family has asked me to pick up where she has left off. I will be getting all the documents," Klassen said. "Her dream was to get an answer what really happened to her son." Klassen said people from across the province have been reaching out to her, offering their condolences and memories of their nurse, Annie Little. She said a wake is being held in Winnipeg this weekend and she will update her MLA Facebook page with details on when and where the funeral will take place. Calvin Harper was originally charged with aggravated assault in connection with Little's beating, but the charge was upgraded to manslaughter on Tuesday. Police said emergency crews were called to a hotel on the corner of Portage Avenue and Parkdale Street on Nov. 21 and found Little unresponsive. There had been a party at the hotel room, police said, and several other people who were there were interviewed during the investigation. Many of them saw the assault but nobody was aware that Little's injuries were as severe as they were, and as a result, the call for help didn't come sooner, police spokeswoman Const. Tammy Skrabek said. Harper previously plead guilty to an assault charge in 2009 and was given one year probation. The 50-year-old is in custody at the Winnipeg Remand Centre and is set to appear in court on the manslaughter charge Thursday morning.